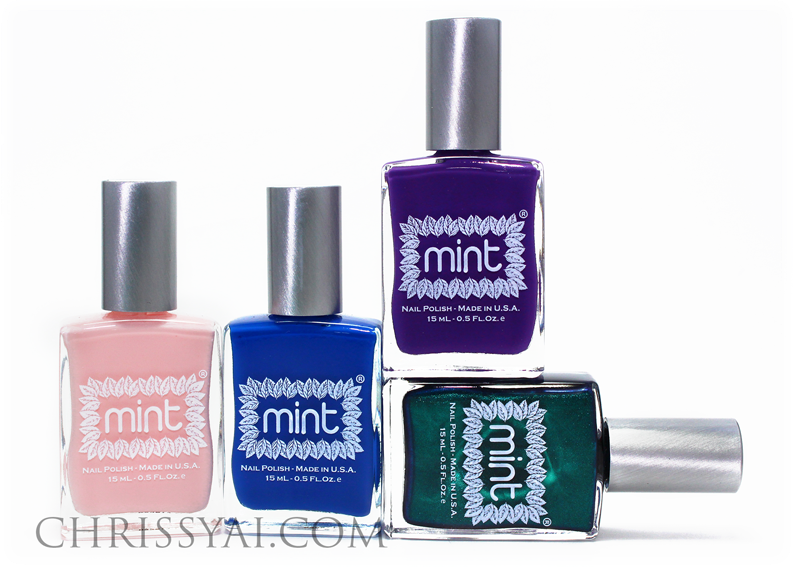 Today I'm sharing with you guys some swatches from Mint Polish. This brand is new to me and I'm loving it already! 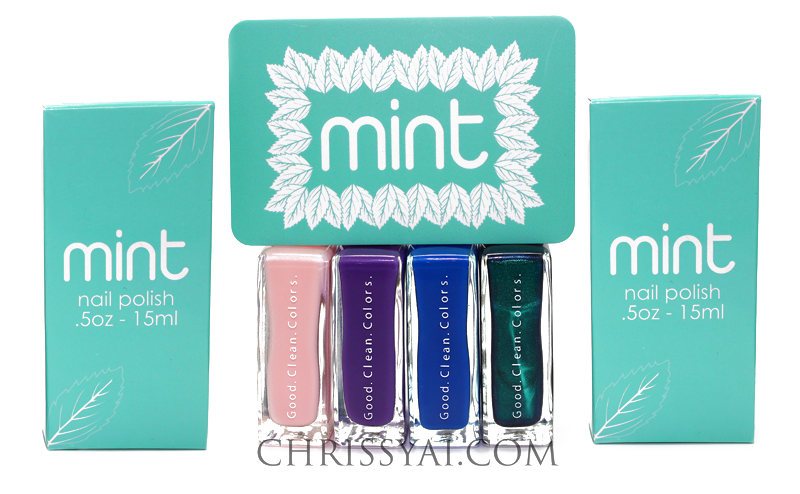 I love everything about their polishes and packaging. The formulas are great, the colors are gorgeous, and the presentation is absolutely adorable! 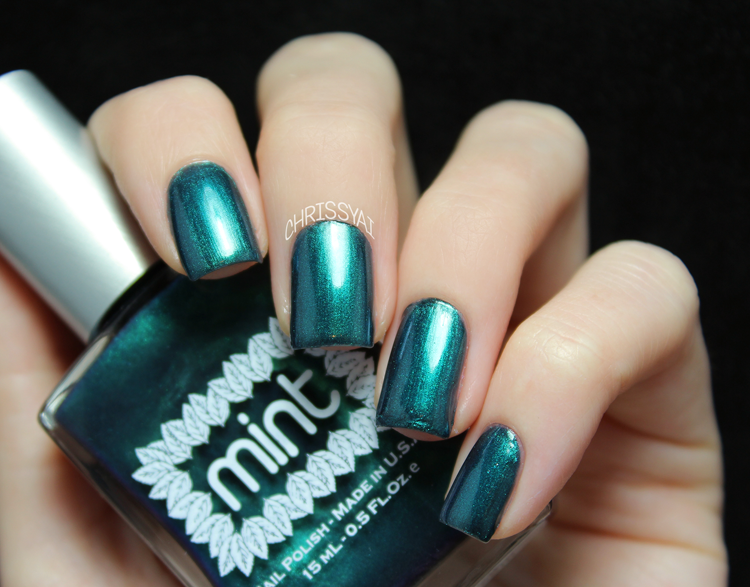 Czarina is described as a deep emerald duo tone. This polish was surprising because it has a pretty thin formula so I would've thought that it would be pretty sheer. However, as you're applying the first coat it starts to build up with each stroke. I had full opacity in one coat my first application but I had to re-swatch it due to lighting issues and my second swatch ended up being two coats. Esmeralda is a fun and bold grape-y purple creme. It has great opacity and like the others, applied very easily. 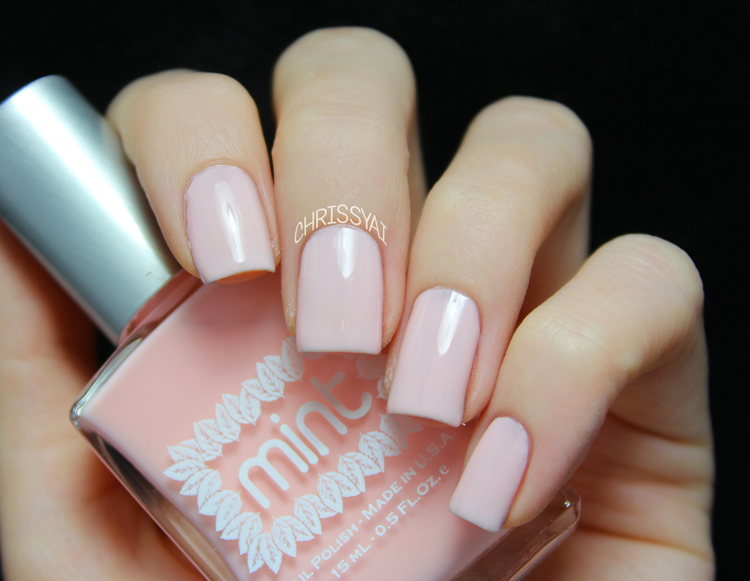 I Do is a light pastel pink creme. This polish is so cute and applied really well. I found that clean up was really easy (though please excuse the mess in the bottle shot, it was late and I had to re-swatch it). 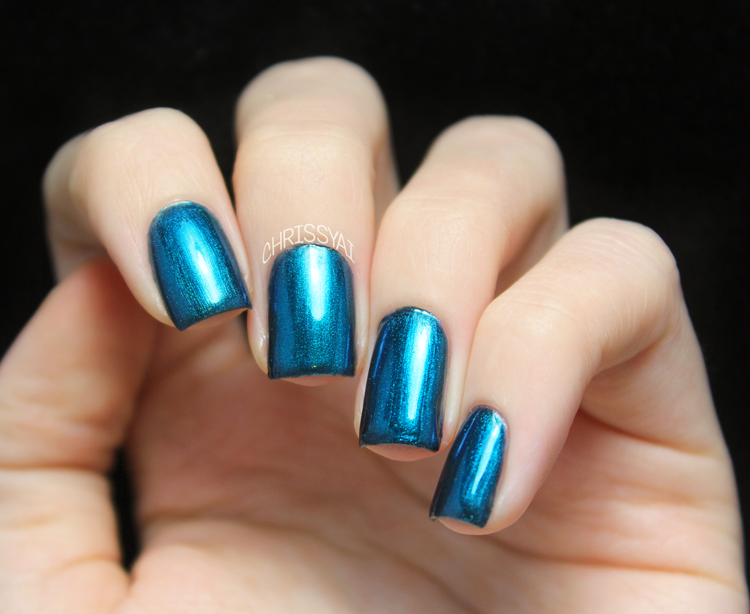 Ming is a bright cobalt blue creme that has great opacity. I'd have to say that this shade is my favorite. (Because all blues are..) I noticed that when I applied top coat on this polish, it got significantly darker. I personally like the darker color better but this may be upsetting for those of you that like the color as it is. Love Ming! That is interesting about the top coat making it darker- thanks for showing that! I've tried Mint before, and was really pleased. Wow! These polishes are impressive! Yess, Ming is so stunning. And Esmeralda.. fun! These are gorgeous! I'm really liking Esmeralda! 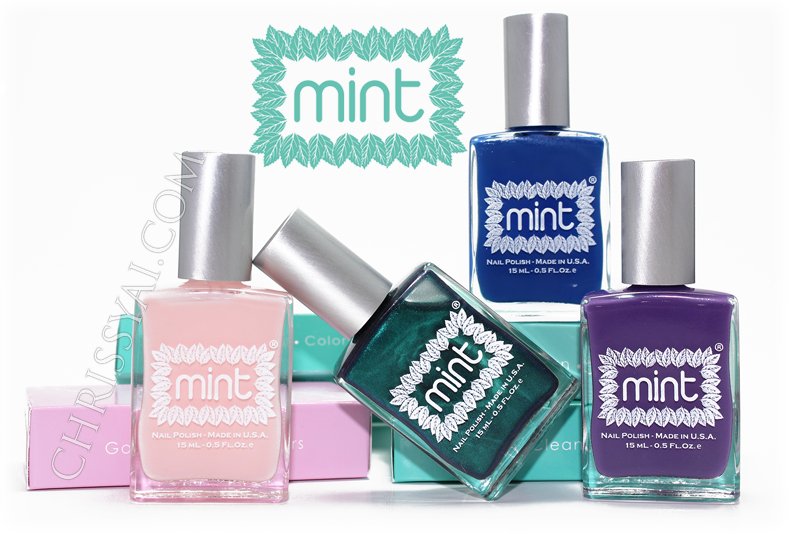 LOVE Mint polish! Their colors are gorgeous.